Both films center on the kidnapping of sons. 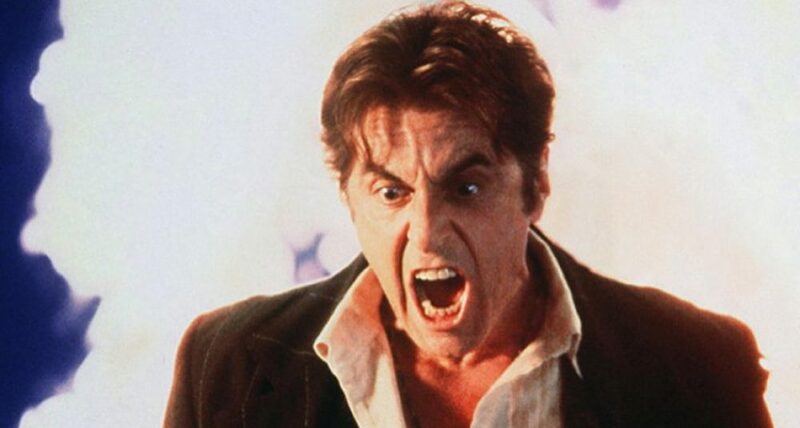 Both films deal with power and its mirror image, helplessness. Christine Collins, the heroine of Changeling, the more recent Eastwood film, has almost no station in society. A single mother in 1928 Los Angeles, she is effectively a non-person. Indeed, as has been in the case with many films about L.A., it’s the institutions, specifically the LAPD, that holds the power. The department, as personified by a squirrelly Capt. J.J. Jones (Jeffrey Donovan), blocks Collins at every turn, first by refusing to believe her son is gone, then by “substituting” one boy for another. Kingo Gondo, a Yokohama corporate titan, on the other hand, literally stands above the citizenry, in a house that overlooks the city. When it appears his son has been kidnapped, the police move heaven and earth to solve the case, devoting massive resources to the investigation. Indeed, in Changeling, the case is eventually broken open by a lone detective, working against departmental instructions; Collins simply cannot command the same kind of attention. We hear this often in modern society, about how not all the missing are equal in the eyes of the law—and especially the media. Young, attractive white women appear who vanish appear to make for better stories than missing black kids from the inner city. The films are more alike than they are different. Both Eastwood and Kurosawa are rather stately filmmakers—and both are interested in the societal impact of the crime more than the crime itself. While High and Low is structured like a procedural, it’s really a docu-drama, an examination of caste and classes. The police may do Gondo’s bidding, but at first they don’t like it. Only when he makes a sacrifice, when he reveals his humanity, do they show their respect. In Changeling, the people rally around Collins; they see her story as their own. Kurosawa wasn’t burdened with making a modern star vehicle like Eastwood was. Everything about Changeling screams Oscar bait for its star, Angelina Jolie, who looks too much like a buffed and polished creature of the day spa to effectively inhabit Collins’ skin. Jolie travels up and down the emotional range so vividly, it’s like hearing someone playing a xylophone a note at a time. For a short period when she’s off screen (while the investigation into her missing son is pursued in some rather grisly scenes), it feels like a relief. 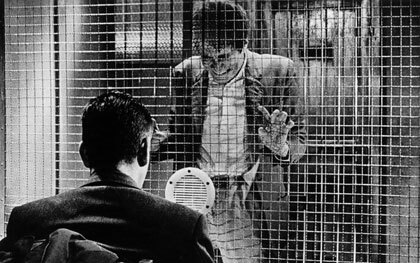 And, by the way, since I recently wrote a note about movies set in insane asylums, might it be possible just to have one—one lousy film—where some inmate isn’t subjected to electro-shock treatment? I don’t ask for much. Mifune’s Gondo ultimately wins over the grudging respect of the police, but they never tell it to his face, thank goodness. 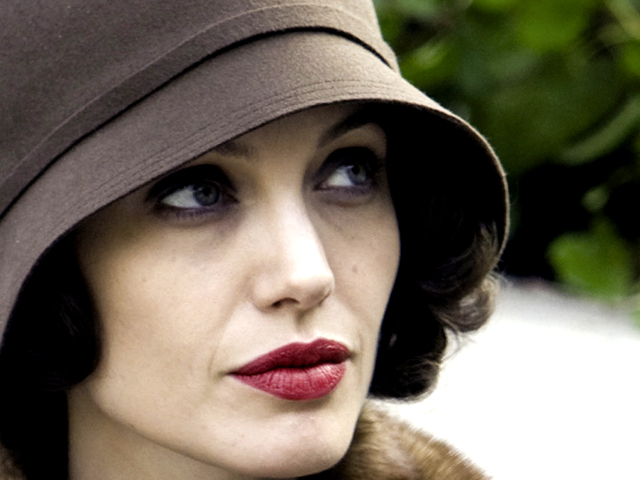 In Changeling, the second half of the film is practically devoted to characters lining up to praise Jolie’s fortitude. And truth be told, for a woman whose son has been replaced by a total stranger, and whose been locked away in an insane asylum, she looks fabulous. 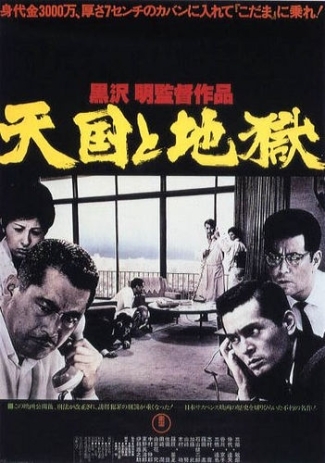 Kurosawa had the luxury of taking his film wherever the story needed to go, meaning he could have a surprisingly engrossing extended sequence set in a police strategy session, for example, where Mifune is nowhere to be seen. Like many great films, High and Low has elements of just about everything: it’s a police procedural bout wealth and privilege, lower-class resentment, personal ethics, and corporate politics. Eastwood, whether by design or fiat, had to make Changeling about Christine Collins’ story—and all she must endure—rather than looking at the corruption beneath the veneer of L.A. in the Roaring Twenties. It’s all there, but it’s hard to see with Jolie’s candlepower cranked up to 11. And to his credit, it’s a serious film, with a historical context that’s intriguing. Changeling aspires desperately for upward mobility, something than can sit alongside other works about LA’s corrupt institutions, like Chinatown (1974) or L.A. Confidential (1997), but it simply can’t quite get there, despite a handful of unforgettable images. And at times, it’s awfully inert. It just drags. Ultimately, the film feels more like Erin Brockovich with a hat. But I dug the streetcars. This entry was posted in From the Queue, LA Movie Project by James Oliphant. Bookmark the permalink.